Why book One to One lessons? The major benefit of One to One lessons is that they can be tailored to your individual needs. Different people learn in different ways, so our teachers will take the time to get to know you and teach you in a way that brings the best results. This will mean that you will see progress much quicker than in a group environment. 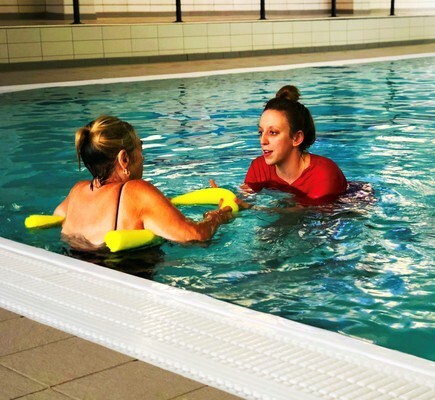 1 in 5 adults in the UK are unable to swim – but it’s never too late to learn! 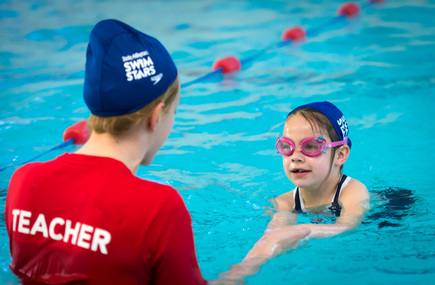 One to One lessons give you the opportunity to learn to swim at your own pace in a private environment, with our fully qualified and enthusiastic teachers. We also have lessons available for adults who are looking to improve their technique. This can be perfect for people who are trying to shave a few seconds off their time if they compete in triathlons, or are swimming for a club. Our coaches can help you improve your stroke hugely with specific drills and exercises that are proven to bring results. Our One to One swimming lessons follow the same learning journey as our group lessons but your child will be given complete, undivided attention for the 30 minutes of the lesson. This will mean that your child will progress far quicker than in a group scenario, because our instructor will be able to work with your child for longer. "In a matter of a few weeks my child has gone from strength to strength, his technique has improved so much. My son has Asperger's syndrome and sensory issues. I spoke to the SwimStars teacher and she listened to my tips on how to keep him engaged. She has been exceptional working with him so far. The teacher is a SwimStar Superstar! Getting the right person to work with my child makes such a difference." "Very pleased, happy to pay the extra for the exceptional improvements made." - One to Ones are set up differently to the group sessions, you cannot book these online. - Lessons are £25.00 for a 30-minute lesson. Our One to One Co-ordinator will then contact you directly with availability and prices the following working day!